Americans deserve thorough disclosure of the nation’s major assassinations says a new research group at the start of the annual “Sunshine Week” beginning March 13. As an initial goal, Citizens Against Political Assassinations (CAPA), a non-partisan umbrella group, seeks withheld records pertaining to the assassinations of President John F. Kennedy in 1963 and the Rev. Martin Luther King, Jr. and New York Senator Robert F. Kennedy in 1968. “CAPA seeks release of the remaining JFK records with a minimum of redactions, which can obscure vital information,” said CAPA Chairman Cyril H. Wecht, M.D., J.D., a prominent expert in forensic pathology for five decades. 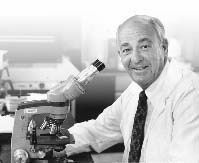 “We shall also file Freedom of Information Act requests and similar legal actions to enforce the law and undertake public education efforts to show the importance of disclosure to new generations.” Wecht, shown below in his lab, is a world-renowned consultant, medical school professor, author, and former county coroner for two decades in Pennsylvania. 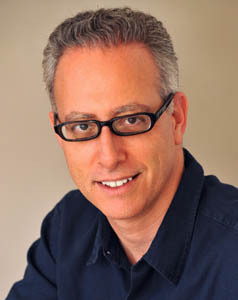 This editor is one of nine CAPA directors along with Wecht, and is also the media liaison for the CAPA announcement, which is timed to coincide with the annual Sunshine Week launched by Florida journalists and then nationally in 2005 by the American Society of Newspaper Editors (ASNE) with funding from the Knight Foundation. The purpose is to advocate for open government and warn against the dangers of excessive secrecy. In Washington, DC, the National Press Club and Newseum are among the organizations sponsoring events during the week seeking more transparency by government. There are many challenges for the media and the public in obtaining from government information once regarded as routine. For example, the Washington Post reported in its Sunday, March 13 print edition, The federal government no longer cares about disclosing public information. This editor shares those goals as an active member of more than a half dozen journalism and legal bodies, including the National Press Club's Press Freedom Committee and several other of the largest and oldest journalism bodies, such as SPJ, ASJA, and the Overseas Press Club. But an urgent need exists also for more for targeted advocacy efforts on the topic of assassinations, especially since the major media have proven extremely reluctant to use their influence to report sensitive aspects of major assassinations -- much less lobby for additional disclosures. Part of this reluctance is doubtless the pressure of deadlines and, often, the implied need for scientific and legal expertise to overcome obstacles. Yet review of the records indicates that other factors doubtless include the establishment media's role in maintaining public confidence in government institutions and their own brand names as purveyors of truth even though such declassified records as those about Operation Mockingbird show that during the 1950s and 1960s the nation's top newspaper, broadcast, wire services and magazines worked closely at the ownership to thwart reporting on sensitive intelligence topics, including the 1963 assassination of President Kennedy and the Warren Commission investigation of it. Importantly, such efforts as Operation Mockingbird were cooperative ventures between media owners and such agencies as the CIA, the evidence indicates, and not the agencies in effect mandating that the media do anything. Thus, Operation Mockingbird's co-leaders are now known to have been Washington Post Publisher Philip Graham and the CIA's Frank Wisner, Sr., who dined together weekly with their wives, as Graham's widow Katharine Graham noted (albeit in passing) in her memoir Personal History. Somewhat similarly, Time-Life Publisher Charles "CD" Jackson led the magazines' coverage of the 1963 assassination and their exclusive acquisition of such vital evidence as the video of the killing by Abraham Zapruder. 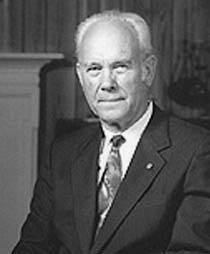 Jackson (shown in a file photo), publisher of the nation's two most important magazines in terms of influence, was regarded also as the nation's leading expert on psychological warfare because of his successes during World War II in the CIA's forerunner, the Office of Strategic Services, and his work as a national security advisor to President Eisenhower. Similar efforts placed CIA and other intelligence operatives in other businesses, government offices (including the White House and Pentagon), academia, unions, religious organizations, and political groups of the mainstream, left and right, researchers now know from many documents, witness accounts and books. The late Air Force Col. Fletcher Prouty (shown in a file photo) described the process in his courageous 1973 insider's account The Secret Team, for example. 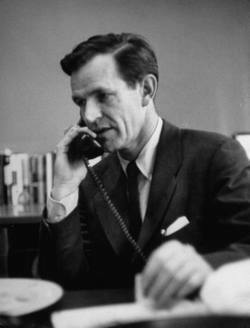 In it, Prouty described how he helped arranged such confidential placements when he worked at the Pentagon during the 1950s and early 1960s at the liaison between the Joint Chies of Staff and the CIA's leaders for covert operations in such specialties as assassinations, revolutions and propaganda. Among more recent books on the topic are last year's Workshops of Empire by Eric Bennett and John Countney Murray, Time/Life and the American Proposition: How the CIA's Doctrinal Warfare Program Changed the Catholic Church by David Wemhoff and, more generally, The Devil's Chessboard by David Talbot, subtitled Allen Dulles, the CIA and the Rise of America's Secret Government. Proponents of such program justified them, to the extent they ever had to do so, for anti-communist and patriotic reasons, as evidenced by many other books too numerous to mention here. 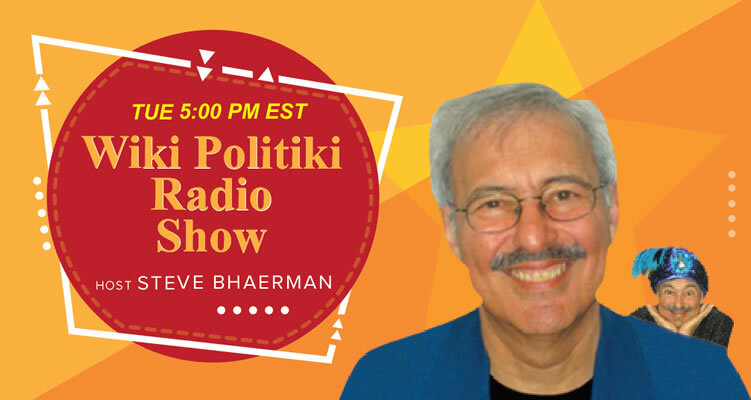 For such reasons, the JFK Act of 1992 exemplifies one major CAPA initiative that is especially congruent with the goals of Sunshine Week and other open government initiatives this spring fostered by the newspaper, broadcast and library leaders along with concerned citizens. 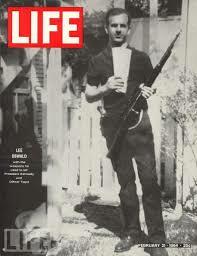 The JFK Act requires federal release of records on the assassination of President Kennedy by October 2017. The president of the United States at that time will be responsible for enforcement. 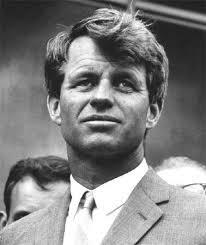 Millions of pages have been declassified regarding Kennedy's assassination and the Warren Commission investigation. But the CIA has long objected to release of others, as reported by such researchers as Russ Baker's investigative team at WhoWhatWhy and by former Washington Post Reporter Jefferson Morley, who curates the website JFKFacts.org. Their columns are Exclusive: List of Withheld JFK Assassination Documents and Denied: the JFK records the government doesn’t want you to see, respectively. Excerpted below are samples of news reports and analysis by the Justice Integrity Project about these topics, as well as by other writers and groups. The appendix includes links to a so-far 30-part "Readers Guide" to the JFK Assassination providing, among other things, a catalog of the most important several hundred books on the topic out of the more than 2,500 total estimated. Even though a great deal of progress has been made in solving key components of the JFK assassination and several others important documents are still being withheld. That creates terrible precedents also for important political murders and attempts reaching current times in the United States and globally. 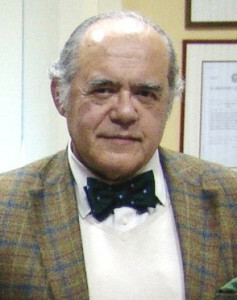 Therefore, leading scientists, lawyers, journalists and other researchers -- most with decades of experience and current participation in other groups -- have convened to create a new organization in CAPA to dispel remaining secrets, working in a complementary fashion with other entities, including other researchers and authorities. But the scope of work is large and priorities will be determined by those who participate effectively. Please consider joining the effort this week and participating on a committee suited to your interests and talents. To join CAPA, visit its website. For any questions, you are involved to contact this editor. 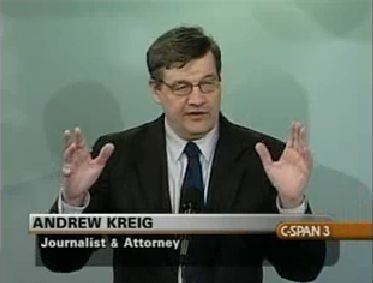 Justice Integrity Project, RFK Murder Cover-Up Continues After Dramatic Parole Hearing, Andrew Kreig, Feb. 24, 2016. A California parole board this month rejected a dramatic plea to release the convicted slayer of 1968 presidential contender Robert F. Kennedy, thereby continuing one of the nation's most notorious murder cover-ups. 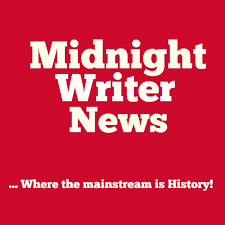 Shorter version on OpEdNews with reader discussion but no appendix. Justice Integrity Project, Legacy of Dr. Martin Luther King Enhanced By Historic Discovery, Andrew Kreig, Jan. 18, 2016. The Rev. Martin Luther King Jr.’s legacy is forever enhanced by discovery of a 24-minute recording of his first meeting with the national media, a 1962 speech that was the first-ever by a black in the history of the National Press Club. 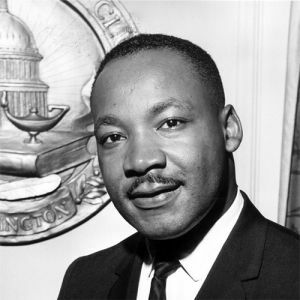 To help celebrate the Jan. 18 holiday for King’s birthday, the club unveiled the recording last week along with dramatic commentary by other civil rights pioneers. They included Simeon Booker, 97, an African American reporter who arranged the speech as a member of the club in the still-segregated Washington, DC. Justice Integrity Project, The JFK Murder Cover-Up: Your Rosetta Stone To Today’s News, Andrew Kreig, Nov. 29, 2015. As the 52nd anniversary of President John F. Kennedy's death approaches this weekend, the murder and cover up hold great lessons for understanding current events. 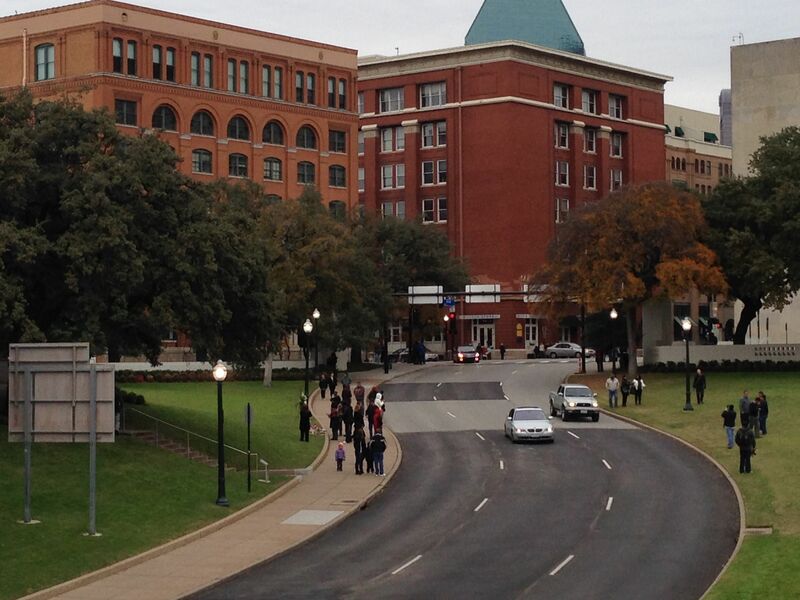 The following are points this editor discusses Nov. 21 at the Annual JFK Assassination Conference Nov. 20-22 at the Crown Plaza Downtown Hotel in Dallas. Justice Integrity Project, UN's Leader Ramps Up Probe Of Predecessor's Feared Murder, Andrew Kreig, July 14, 2015. United Nations Secretary-General Ban-Kai Moon (shown at right) last week authorized an intensified probe of the suspicious 1961 airplane crash that killed his peace-keeping predecessor Dag Hammarskjold. The UN's leader moved forward after preliminary inquiries raised additional questions over whether Western powers colluded to kill the Swedish diplomat, who had been working with emerging former colonies in Africa and elsewhere. The initiative by Ban comes after claims of Belgian and U.S. complicity in the plane crash over Northern Rhodesia (now Zambia), which authorities announced as an accident. 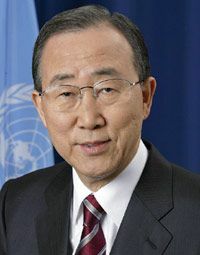 Ban, regarded supporting of U.S. policies generally, nonetheless advanced this inquiry. Hammarskjold, shown at his desk, died while engaged in diplomatic efforts regarding the former Belgian colony of the Congo. The secretary-general planned to see Moise Tsombe, a pro-West leader of the province of Katanga that had broken-away from the central government led by the Congolese Prime Minister Patrice Lumumba. The CIA has acknowledged complicity in Lumumba's kidnapping, torture, and assassination along with two aides. Katangan forces that seized them after just 12 weeks of his leadership. 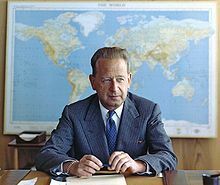 News coverage of the UN investigation of Hammarskjold's death, including of last week's announcement, has varied widely according to the editorial perspective of the outlet. National Press Club, Panel explores how media brands work to define social presence, Julia Haskins, March 18, 2016. Now that social media is a key facet of most media outlets’ digital strategy, it’s up to journalists to understand how best to utilize it, panelists said at a National Press Club digital event March 16. While social media serves as a tool for journalism, it’s only one part of the equation, according to Margarita Noriega, director of social media at Newsweek. “Social media isn’t just a tool, it’s not just a medium, and it’s not just a product. It’s always been all three,” she said. As a senior correspondent at The Daily Beast, Shane Harris relies on social media for investigative journalism. He talked about how he uses social media to get scoops, connect with sources and keep a finger on the pulse of trending topics. “I saw the emergence of social media from nothing into what we have now and I really try to relate to it like a tool,” Harris said. For him, that means using Facebook to stay on top of mass shootings or combing through LinkedIn for sources who can speak about cyber warfare. Politico, FOIA suit seeks records on Petraeus investigation, Josh Gerstein, March 18, 2016. A newly-filed Freedom of Information Act lawsuit is demanding that the federal government fork over records from the investigations that led to former Central Intelligence Agency director Gen. David Petraeus' guilty plea last year to a charge of mishandling classified information. The suit , filed Friday in federal court in Washington by Daily Beast reporter Shane Harris and a pro-transparency organization, the James Madison Project, seeks information from three federal agencies — the Justice Department, the Defense Department and the CIA. Petraeus pleaded guilty in February 2015 to a single misdemeanor count of mishandling classified information by retaining notebooks containing highly classified information at his home without permission and sharing some of those materials with his biographer and paramour, Paula Broadwell (shown with him at right). She was an officer in the Army reserve, but was not officially authorized to receive the classified materials. A federal judge in North Carolina sentenced Petraeus to two years probation and a $100,000 fine. Harris and the transparency group filed a series of FOIA requests last month seeking details on various inquiries the FBI, the CIA and the Pentagon pursued beginning in 2012 after a Florida woman, Jill Kelley, reported to the FBI that she had received messages from someone who appeared to be familiar with her movements as well as those of top military officers and Petraeus. The ensuing probes reportedly established that the messages came from Broadwell and that Petraeus, who is married, had an affair with her. Petraeus resigned shortly after the November 2012 elections, citing errors in judgment on his part. No charges were ever filed against Broadwell. The probes now appear to be closed. 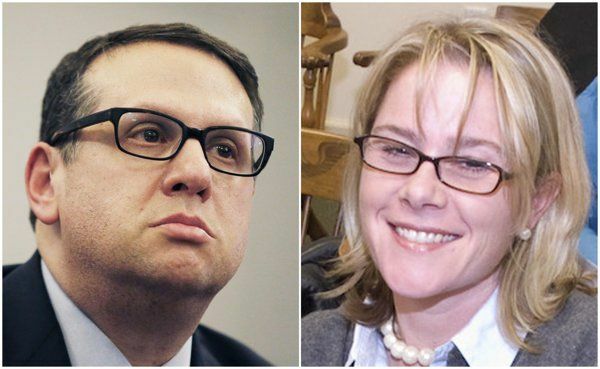 In 2013, Kelley sued the U.S. government under the Privacy Act, arguing that officials at the Pentagon and/or the FBI leaked to the press personal information about her, including contents of her email account. That case remains pending in federal court in Washington. Among the records sought in the FOIA lawsuit are details on any damage assessments carried out in the probes, as well as details on any administrative actions against Petraeus, which could include suspending or revoking his security clearance. The new FOIA case was filed on the same day the House Benghazi Committee announced that Petraeus is scheduled to testify privately before that panel on Saturday. It will be Petraeus's second round of testimony there. A lawyer for Petraeus, David Kendall, did not immediately respond to an email seeking comment on the new suit. Observer, Hillary Has an NSA Problem, John R. Schindler, March 18, 2016. The FBI has been investigating Clinton for months — but an even more secretive Federal agency has its own important beef with her. For a year now, Hillary Clinton’s misuse of email during her tenure as secretary of state has hung like a dark cloud over her presidential campaign. 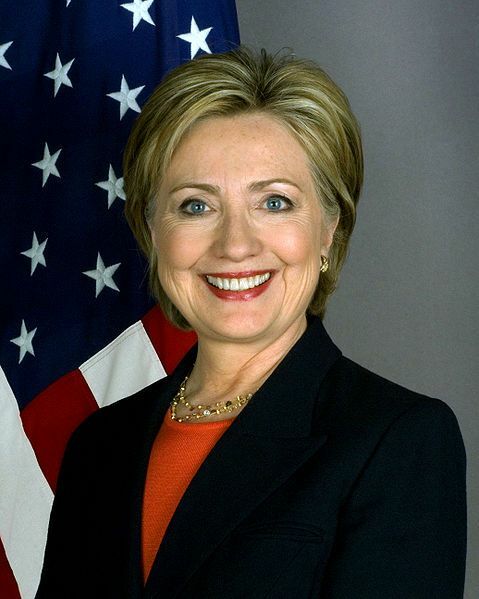 Specifically, the Federal Bureau of Investigation examination of email-gate, pursuant to provisions of the Espionage Act, poses a major threat to Ms. Clinton’s presidential aspirations. However, even if the FBI recommends prosecution of her or members of her inner circle for mishandling of classified information — which is something the politically unconnected routinely do face prosecution for — it’s by no means certain that the Department of Justice will follow the FBI’s lead. What the DoJ decides to do with email-gate is ultimately a question of politics as much as justice. The FBI isn’t the only powerful federal agency that Hillary Clinton needs to worry about as she plots her path to the White House between scandals and leaks. For years, she has been on the bad side of the National Security Agency, America’s most important intelligence agency, as revealed by just-released State Department documents obtained by Judicial Watch under the Freedom of Information Act. The documents, though redacted, detail a bureaucratic showdown between Ms. Clinton and NSA at the outset of her tenure at Foggy Bottom. The new secretary of state, who had gotten “hooked” on her Blackberry during her failed 2008 presidential bid, according to a top State Department security official, wanted to use that Blackberry anywhere she went. National Press Club, FOIA at 50: Experts reflect on a vital but flawed transparency tool, Sean Lyngaas, March 17, 2016. 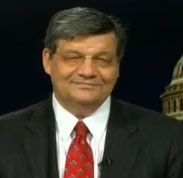 The Freedom of Information Act is both indispensable and falling short of its promised intent, transparency experts said at a National Press Club panel on March 16. 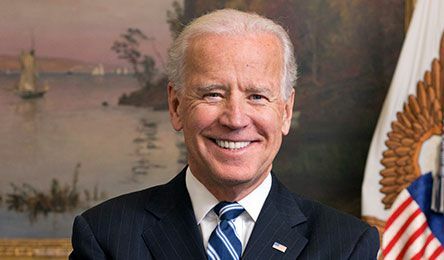 Backlogs and broad use of exemptions are evidence the government’s handling of FOIA requests is “progressively getting worse,” said Jason Leopold, senior investigative reporter at Vice News. Yet despite all of the flaws in FOIA’s implementation, the law is still a “hugely important tool." It has been half a century since the signing of FOIA gave the public a means of shedding light on government’s inner workings, and panelists agreed that the FOIA process needs reforming. “I don’t think you can underestimate the power of bureaucracy” in impeding openness, “and it transcends any administration,” said Michael Doyle, a legal affairs correspondent at McClatchy Newspapers. The number of annual FOIA requests grew from about 597,000 in fiscal 2010 to about 713,000 in fiscal 2015, according to Justice Department data; the panelists generally agreed that federal agencies have struggled to cope with this swell in requests. David Sobel, senior counsel at the Electronic Frontier Foundation, said there is a perverse incentive for agencies to drag their feet on FOIA requests. Agencies that process requests more quickly are likely to get more requests, he said. Politico, White House: Obama would sign FOIA bill, Josh Gerstein, March 15, 2016. President Barack Obama would sign a Freedom of Information Act reform bill the Senate passed Tuesday, if it reaches his desk in that form, a White House spokesperson said. The measure cleared the Senate unanimously Tuesday afternoon and is similar, but not identical, to a FOIA bill that passed the House in January. "A continued culture of government secrecy has served to undermine FOIA's fundamental promise," Senate Judiciary Committee Chairman Chuck Grassley said on the Senate floor just before the bill passed by unanimous consent. Washington Post, The federal government no longer cares about disclosing public information, Justin Elliott, March 11, 2016. FEMA’s slow response to my 2014 Freedom of Information Act request is, sadly, typical. Two years ago last month, I filed a public-records request to the Federal Emergency Management Agency as part of my reporting into the flawed response to Hurricane Sandy. Then, I waited. WhoWhatWhy, Exclusive: List of Withheld JFK Assassination Documents, Russ Baker (shown in a file photo), Feb. 4, 2016. Here It Is — a Map to What We Can Still Learn. Exciting news: WhoWhatWhy has obtained the complete list of 3,603 secret documents on the Kennedy assassination still being held by the US government. (Or, to be precise, what it admits to still holding.) Now we can at least get a peek at what they have been hiding. The list was obtained in a Freedom of Information Act request by FOIA specialist Michael Ravnitzky, who alerted us. The complete list is below [On WhoWhatWhy site). You’ll note that some documents are briefly characterized by subject, while others are less clearly identified. 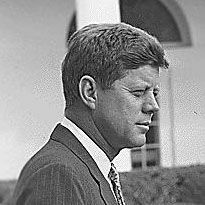 The government has promised to release as many documents as possible in October, 2017, the 25th anniversary of the JFK Records Act, in which Congress mandated that all efforts be made to release everything in Washington’s possession unless an overriding case can be made for withholding in the national interest. Some — perhaps most — of these documents could be released at that time. Then again, they may be further withheld. The CIA in particular is likely to argue that some are just too sensitive to be made public. Still, knowing their subject matter makes it easier to press for disclosure, and to hold the government accountable by insisting it justify any continued withholdings. • Records on David Morales, David Atlee Phillips, E. Howard Hunt, William King Harvey and others considered by top researchers prime suspects for participation in the planning and implementation of Kennedy’s murder. • Tax returns of Michael Paine, who with his wife Ruth provided housing and more for the Oswalds — Ruth also got Lee a job in the Texas School Book Depository — from which he purportedly shot Kennedy; Michael worked for the defense contractor Bell Helicopter. JFKFacts.org, Denied: the JFK records the government doesn’t want you to see, Jeff Morley, Feb. 4, 2016. The invaluable WhoWhatWhy has posted a spreadsheet of the 3,600-plus assassination-related records that the U.S. government has never made public. The existence of the 3,600 records was first reported in JFK Facts last May. 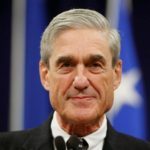 The WhoWhatWhy document, obtained by FOIA specialist Michael Ravnitsky, advances the story by providing new details about what exactly the government does not care to share with the American people. I’ve already called attention to seven key files that the CIA is hiding. The National Archives staff, led by Martha Murphy Wagner, says that it is now preparing to release all of these documents online by October 2017. 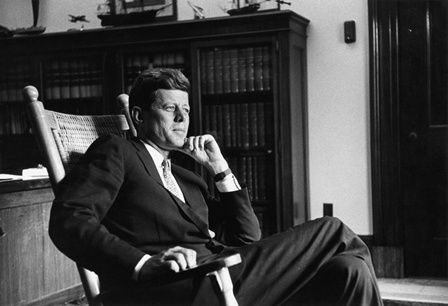 This list identifies many more documents relevant to the question, “Who killed JFK?” and still more of historical interest. Some that jumped out at me on first reading. Take look and send me your list of the five JFK documents you think should be made public. The Indicter, Olof Palme and Julian Assange subjected in Sweden to same hate campaign by the same political forces and with the same purpose: to defend U.S. geopolitical interests, Professor Marcello Ferrada de Noli (shown in photo), March edition (released Feb. 28, 2016). Today, the 28th of February 2016, the world is mourning the 30th anniversary of the assassination of Olof Palme, the honourable PM of Sweden (shown at right in a 1968 photo). 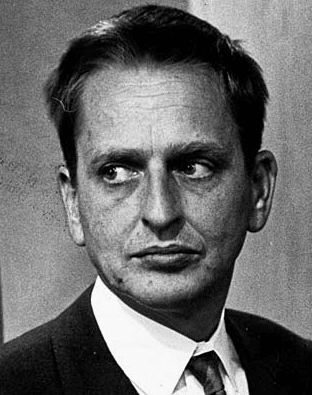 The Swedish media and a variety of early authorities and representatives of Sweden’s power and cultural elites have been during the last weeks unanimous on this: The assassination took place in the frame of a hate campaign against him, and where Olof Palme was constantly subjected to libelous personal attacks. However, what that media and politicians who professed frank animosity against Palme’s anti-imperialist stances do not say is that it was they who promoted and/or echoed such a hate campaign. Months ago, a politician of name Jörgen Olsen and belonging of the same organization as Carl Bildt and Ulf Adelsohn wrote in Facebook, “Palme was a repulsive person.” That is the term used by former Social Minister Göran Haglund when referring to Assange. Nevertheless, the Swedish police disregarded eyewitness reports from the very same evening of the murder of Palme which identified a U.S. agent at the time working for Pinochet’s infamous DINA – the secret security agency set up to assassinate opposition leaders abroad. Olof Palme was the only foreign dignitary who was listed in the death list of Operation Condor. 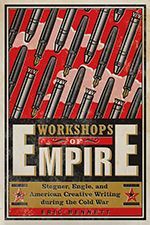 New York Times Sunday Book Review, ‘Workshops of Empire,’ by Eric Bennett, reviewed by Timothy Aubry, Nov. 25, 2015. Timothy Aubry, an associate professor of English at Baruch College, is the author of “Reading as Therapy: What Contemporary Fiction Does for Middle-Class Americans.” What Eric ­Bennett’s “Workshops of Empire” contributes is an understanding of how Cold War politics helped to create the aesthetic standards that continue to rule over writing workshops today. Sponsored by foundations dedicated to defeating Communism, creative-­writing programs during the postwar period taught aspiring authors certain rules of propriety. Good literature, students learned, contains “sensations, not doctrines; ­experiences, not dogmas; memories, not philosophies.” The goal, according to Bennett, was to discourage the abstract theorizing and systematic social critiques to which the radical literature of the 1930s had been prone, in favor of a focus on the personal, the concrete and the individual. While workshop administrators like Paul Engle and Wallace Stegner wanted to spread American values, they did not want to be caught imposing a particular ideology on their students, for fear of appearing to use the same tactics as the communists. Thus they presented their aesthetic principles as a non­political, universally valid means of cultivating writerly craft. The continued status of “show, don’t tell” as a self-evident truth, dutifully dispensed to anyone who ventures into a creative-­writing class, is one proof of their success. 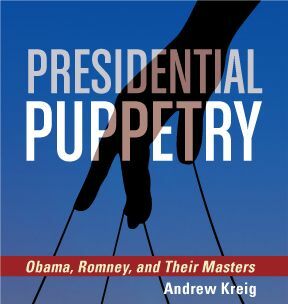 Bennett’s argument is a persuasive reminder that certain seemingly timeless criteria of good writing are actually the product of historically bound political agendas, and it will be especially useful to anyone seeking to expand the repertoire of stylistic strategies taught within creative-writing programs. That said, some sections are better researched than others. Whether or not the aesthetic doctrines currently championed by writing workshops perform the same political function they once did, now that the very conflict responsible for their emergence has ended, is a question that requires further study. WhoWhatWhy, Selma at 51: MLK Warned That Apathy Was the Real Killer, Staff report, March 7, 2016. Selma, Alabama, was perhaps the climax of the Civil Rights movement. On the 51st anniversary of that famed march, we take a moment to reflect on some of Dr. Martin Luther King’s most extraordinary oratory, which is so very relevant today. Fifty-one years ago today, a peaceful march of civil rights supporters that began in Selma, Alabama, was violently halted when demonstrators tried to cross Edmund Pettus Bridge. The photos and videos of “Bloody Sunday” went around the world and provided undeniable proof of the brutality used to stop the civil rights movement. In one particularly striking passage, Dr. Martin Luther King Jr. both virtually predicted his own death and said it was better than doing nothing. “A man dies when he refuses to stand up for that which is right, a man dies when he refuses to stand up for justice, a man dies when he refuses to take a stand for that which is true,” Dr. King said in a speech the day after the march. 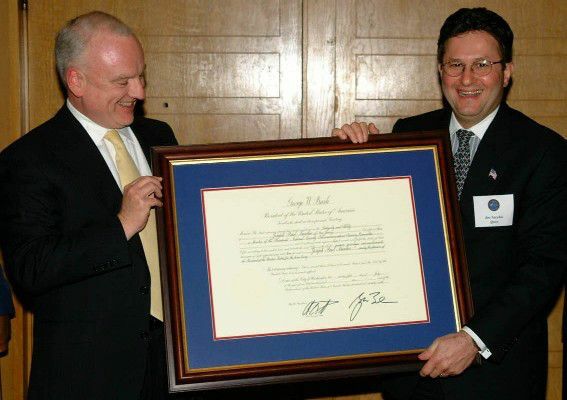 Then-Qwest CEO Joe Nacchio (at right) receiving Presidential certificate in 2001 from White House adviser Richard Clarke before Nacchio was federally prosecuted after refusing to hand over company data without a warrant. Evidence abounds that the securities fraud charges and long prison sentence were hoked up to punish him as reprisal. 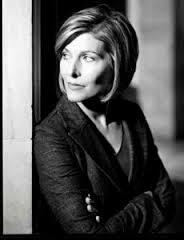 Full Measure via Sinclair Broadcasting, Once upon a time, long before Apple and the FBI, Sharyl Attkisson (shown at right), March 10, 2016. Once upon a time, long before Apple and the FBI, one of America’s spy agencies asked a telephone company to cooperate on a classified project that involved unspecified surveillance of private customers. The company was Qwest and the agency was the NSA – the National Security Agency. The phone companies have long cooperated with U.S. intelligence agencies on secret programs that earn billions of dollars in contracts. But this time was different. This time, then Qwest-CEO Joe Nacchio says, the government didn’t have the appropriate warrants or legal authority.